//form values are preserved, even if this parameter is not used. 1. Just like hyperlink and Response.Redirect, Server.Transfer is used to navigate to other pages/sites running on the same web server. 2. 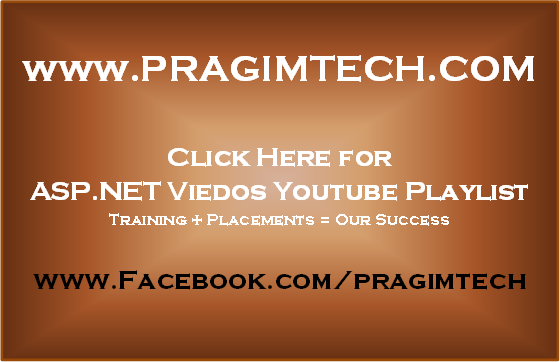 Server.Transfer cannot be used to navigate to sites/pages on a different web server. 4. Server.Transfer is faster than Response.Redirect as the redirection happens on the server in one Request/Response cycle. 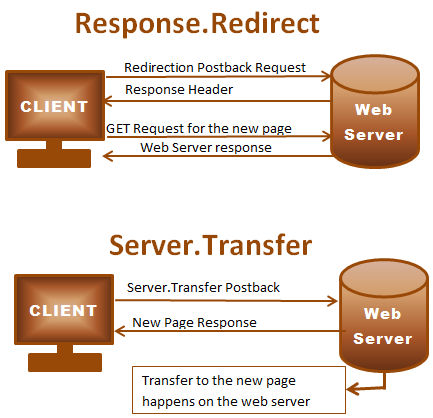 Response.Redirect() involves 2 Request/Response cycles. 5. With Server.Transfer the Form Variables from the original request are preserved.